Subscribe to the Glazov Gang‘s YouTube Channel and follow us on Twitter: @JamieGlazov. Please donate through our Pay Pal account to help The Glazov Gang keep going. And pre-order Jamie’s new book, Jihadist Psychopath: How He Is Charming, Seducing, and Devouring Us. Thank you! 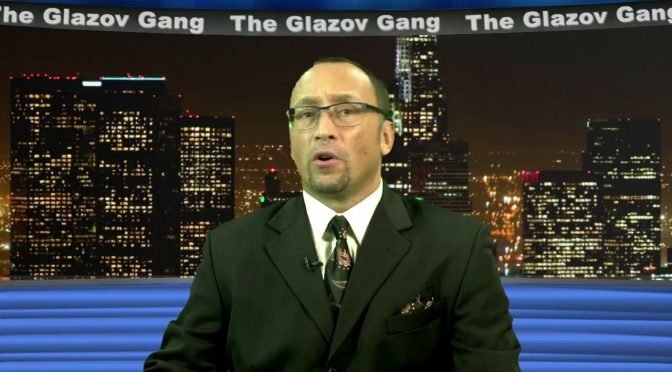 In light of the breaking news that the father of the New Mexico Islamist compound leader is Linda Sarsour’s “mentor”, The Glazov Gang has deemed it important to bring attention to the forgotten story of why Linda Sarsour Needs to Apologize for the Halloween Massacre. In this Jamie Glazov Moment, Jamie asks: What if a person prevented the NYPD from doing its job — and it led to the murder of innocents? Subscribe to Jamie Glazov Productions, LIKE Jamie’s FB Fan Page and follow him on Twitter: @JamieGlazov. Sarsour has a lot of extremist friends. Sarsour used the victimized-race card as soon as she put on the veil. Before that, she called herself ‘white’. How does one change one’s race? Is this change done PSYCHIATRICALLY? It certainly is a PSYCHO-DRAMA. So Linda Sarsur is a murderous psychpath. Who is surprised by this ‘revelation’? She is a typical hater of anything that is good. She is not at fault. Our government is at fault. Even President Trump cannot touch her. These are the latter days. And we cannot stem the tide of corruption. Please continue to raise the alarms. Maybe someone will wake up. it is such a sign of the sad, delusional state the world, more so the USAIS BECAUSE Linda Sarsur IS BREATHING. Wasn’t it the NYPD who caved? Please keep sharing the truth. Your stories are never heard in our press that has been co-opted by elitist anti-Christian, anti-Semite, and anti-gun “liberals”. Please keep us informed and free as you are doing. Liberty is threatened in the West like never before. Jamie Glazov holds a Ph.D. in History with a specialty in Russian, U.S. and Canadian foreign policy. He is the editor of Frontpage Magazine, the author of the critically acclaimed and best-selling, United in Hate: The Left’s Romance with Tyranny and Terror, and the host of the web TV show The Glazov Gang. His new book is Jihadist Psychopath: How He Is Charming, Seducing, and Devouring Us. Follow him on Twitter: @JamieGlazov, and contact him at jamieglazov11@gmail.com. Glazov Moment: Children Taken Away If Islam Criticized? Nicolas Carras on Glazov Moment: Children Taken Away If Islam Criticized? Content copyright Jamie Glazov, Jamie Glazov claims no credit for any images posted on this site unless otherwise noted. Images on this blog are copyright to their respective owners. If there is an image appearing on this blog that belongs to you and you do not wish for it appear on this site, please E-mail me with a link to said image and it will be promptly removed.